Since His ascension, Christians have asked questions about Jesus. What was His nature? What role did He play in creation? For whom did He die? 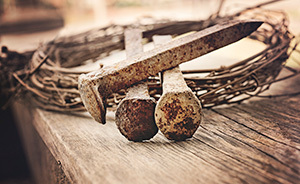 In this course, Dr. C. Fred Dickason takes learners through an indepth study of Christ in an attempt to understand His person, nature, teachings and work. Known as Christology, the study of Christ brings learners face-to-face with the most important event in history as individuals unpack the Bible’s teachings on Jesus. Learners will be stimulated intellectually and spiritually as they visit the decisions reached by the early church councils and explore the questions raised since then. Christology is a wonderful journey that reinforces the firm foundation of the faith and helps the church be equipped to share that faith with a lost world. I was impressed with the thoroughness of this study. I learned a great deal about the study of scripture as well as the study of my Lord and Savior Jesus Christ. Great course, Christ Centered teaching. Understand the decisions about Jesus reached by the early church councils. Defend the orthodox truths about Jesus’ person, nature, teachings, and work. Answer scripturally questions regarding Christ. Appreciate the intellectual and spiritual importance of christology.